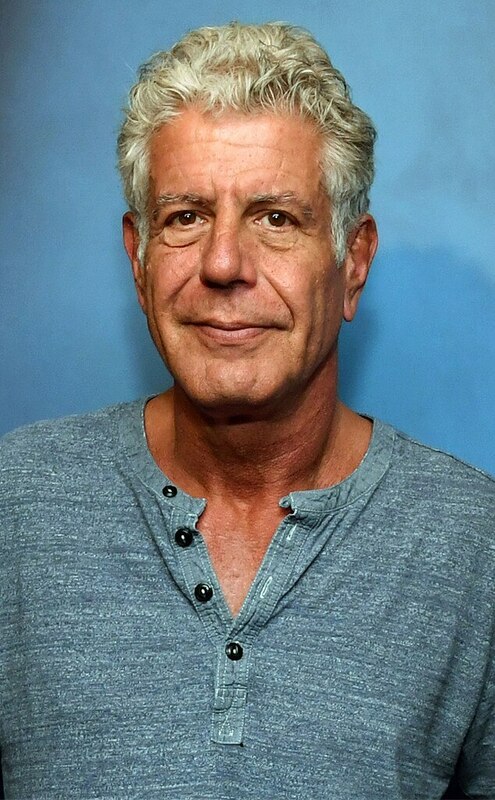 I imagine a lot of people have fantasized about being Anthony Bourdain, the star of CNN’s Peabody-winning “Parts Unknown” series, in which he traveled the world eating exotic food and meeting the people who made it. That was probably the most enviable job on television. Friday, CNN announced that he had committed suicide. He was 61, my age. So I’m having a Richard Cory moment. Bourdain’s suicide, coming so soon after that of fashion designer Kate Spade, has sparked a lot of discussion about depression. (I’m not sure we really know that either was depressed at the time, but it’s a plausible assumption.) Here’s my contribution to that conversation. No one close to me has committed suicide, but I have watched both parents and at least one close friend deal with depression. I’ve also skirted the borderlands of depression myself on occasion. In my view, the most insidious thing about it is that it first attacks the faculties that you will need to fight it off. (That’s why all the “snap out of it” advice never works. The command center that could have received and acted on that message has already fallen.) You may not even notice what’s happening until the depression has you encircled. I can’t lean on my friends because they aren’t really my friends. Secretly, it would give them satisfaction to know that I’m doing badly. I can still imagine things that would make me happy, but feel like they’re not worth the bother. Whether or not I enjoy my life is really not that important. Those are mine; you may have other typical borderland thoughts. Try to identify them and notice when they start showing up. So what are “high standards of mental hygiene”? Obvious stuff, mostly: Eat right, sleep well, get exercise, drop unrewarding responsibilities that cause unnecessary stress, indulge any creativity or playfulness you happen to notice in yourself (even if it seems silly), spend time with people who love you (and trust that they really do), expose yourself to whatever kind of beauty moves you. If you know any children who aren’t your responsibility, they tend to make good companions: They are naturally playful, and it’s hard to believe that they are devious enough to fake caring about you. None of that cures a depression after you’re in it. But if you’re not quite there yet, maybe you don’t have to go. « Who won the Masterpiece Cakeshop case? An interesting suggestion from a nationally known doctor: Wake the depressed person at 2 a.m. and keep them awake until 10 p.m. the following night. I don’t envy the person having to do the waking and keeping awake, but supposedly this will reboot the brain. I’m not a doctor, but I’m skeptical. Strange sleeping hours is one of the primary symptoms of depression; I’d be amazed if it helped. I’d be interested in knowing who this “nationally known doctor” is – Dr. Oz? Dr. Phil? A specialist in homeopathy? A citation would help. Given the disturbing technically-possible-but-unlikely waking nightmare scenarios which run through my brain in the wee hours of the morning [for example: Trumpist rednecks (aka “neighbors”) breaking down our door and shooting my husband and cat in front of me; etc.] I really have to wonder about this advice. One major red-flag for me is when I catch myself extending one negative experience into a reflection of something bigger, and eventually into my entire sense of self-worth. A phone call with a client doesn’t go well, I must be bad at my job. There is a brief window to break the cycle before it transitions to I’m terrible at everything and everyone secretly hates me. This is a helpful addition to the Sift’s great contribution to preventing depression from leading to something worse. A related symptom I’ve noticed is when good things can’t overcome bad things. One time I was watching a baseball game on TV, and I was getting upset because my team was blowing a big lead. Then the game went into extra innings and we won. Afterwards, I was still in the state of upset. The fact that the game was a win didn’t overcome the fear of an embarrassing loss. Pish! Posh! Depression is quick sand. Wise words. I’ve talked one friend out of suicide, have seriously contemplated it myself, and dealt with black depression off and on since I was a teen. I don’t listen anymore to all the voices on social media that are responding to depression or someone’s suicide — 99% are not helpful or even knowledgeable. Each person is unique, that person’s pain is unique to them. The best thing anyone can do for someone who’s depressed is to tell the person that you care about him or her, that they are important to you, and you’ve noticed they’re depressed, then offer to help them find help. Call the local or national suicide prevention hotline. Be willing to drive them to therapy appointments. Demonstrate your caring and friendship even while acknowledging that suicide is an option but only ONE possible option and one that is final and therefore not constructive.